Today I am really excited to bring you the Cover Reveal for ‘The Greenmen’ by Linden Forster!! I have to say I really like this cover, the fact that the face just sort of covers the whole page makes it really stand out! While waiting for The Greenmen to become available, please do take a look at the first book in the series Divine Invention! Well, this is certainly a book that is full of emotions and takes you on quite the ride as you follow Dervla (Dizzy) on her journey of meeting her birth parents and all that comes with it! Now this story is a fictionalized version of the authors own experiences and stories and I think this really shows in the book, although fictionalized it helps give a very real feeling to the book and the connection with the characters and I felt that although I myself am not adopted I could still really relate to all the characters throughout the book. It was also great to see the emotional and somewhat psychological aspects affecting all of the characters within the story as of course, it’s a rollercoaster of emotions for all involved. I also really enjoyed being able to add a bit of a troublesome dog to the equation! A great four and a half star read! I can’t actually remember the last time I read a ‘paranormal’ sort of book so I was really excited to be able to dive straight into this one! We start off with Claire and her fulfilling what I’m guessing is everyone’s fantasy winning the lottery, from there on we are transported to Fuerteventura. Now I do have to say I was a bit surprised with just how much I did enjoy reading this mainly due to it being quite slow paced as the author really delves into the history and surroundings of the island, I usually prefer there to be a bit more action but I really found myself falling in love with pretty much everything and was completely sucked into the descriptions, it was like a little mini holiday in my head. The supernatural aspect was also great as it kept the mystery going and to keep a whole lot of intrigue about the story, now as I mentioned the story itself is fairly slow paced but I really felt like it worked for this as I found myself taking my time and really trying to soak up everything. A great four and a half star read! I want to start off by saying I really love the cover for this book, I’m not sure what it is about it but I’m definitely a fan! Now what really got me excited about this book was the fact it was told in dual timelines, I was a bit apprehensive that I wouldn’t be able to follow, or would get far too involved in one-time timeline and not want to go back to the other but that really wasn’t the case in this book. I really wanted to know what was going on in both timelines so switching between the two seemed like a fair compromise! Another great part of the book for me was seeing both Clare’s and Ellen’s confidence grow throughout their stories, there is no doubt about it that they are both facing very different situations but their personal growth and development shine through. I also liked how it all wrapped up, it a great sense of closure which I was concerned about. The only sort of downside to the book itself was that it was a bit short for my liking, I wanted more! Oh well guess it’s not the worst problem to have, I will just have to go find another book from this author! Hi everyone and welcome today to a special guest post from author Stephen Ainley to talk about his book Dennis Bisskit and The Man From Paris With the Very Large Head!! Don’t you just love that title! Hi, from sunny Western Australia. This book is a sequel to, The Dennis Bisskit Adventures, and I am just finishing a third and possibly last in the series (but who knows.) 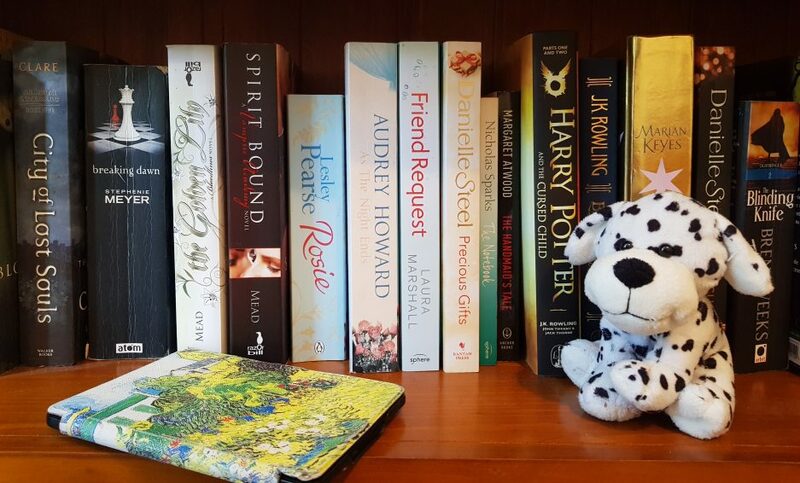 Funnily enough, although I have lived in Australia for 40 years, just about everything I write seems to be set in England, in the ‘50s, ’60s and ‘70s. My first novel, the Dennis Bisskit Adventures was released in the U.K. in 2017 and told the story of a young lad growing up in Dudley (west midlands) My main aim in writing is primarily to make people laugh. In the first book, this is achieved through a series of adventures that happen to Dennis between the ages of ten to twenty years old. School-life, holidays, the Scouts, first jobs at a department store and then a hotel and ending with Dennis and best mate, Stinky joining the army in the ‘60s. 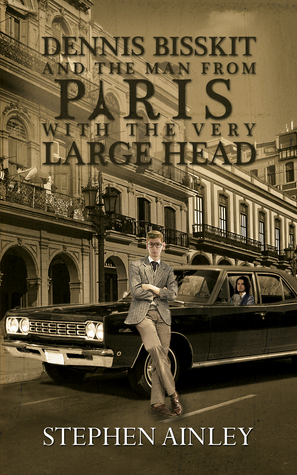 Dennis Bisskit and the Man From Paris with the Very Large Head was published recently. It follows on from the first book and tells how the boys leave the army and become Dudley’s finest (and only) Private Investigators, in the late 1960s. This book is still mainly humourous but also develops into an exciting crime story. It always helps if you have read the first in a series, but it’s not essential in this case. My Website/Blog is all things Dennis, plus other silliness. 1969 – Man is about to set foot upon the moon. Meanwhile, momentous events are also taking place in the West Midlands. Weddings, funerals, hereditary hair loss, M. J. K. Smith’s cricket bat, a missing masterpiece; dastardly deeds are taking place, above and below the streets of Birmingham. The police are baffled. This looks like a job for Dudley’s finest, Bisskit and Blackshaw – private investigators. Yes, the boys are back. Older, but none the wiser in Dennis Bisskit and the Man from Paris with the Very Large Head. Stephen was born at a very young age, in Birmingham, U.K. As a youth his hobbies were; knocking on people’s front doors and running away, tying girls’ shoelaces together while they weren’t looking, and playing conkers. Strangely enough, they remain his hobbies till this day. Stephen served in the British Airborne in the ‘70s and has the aches and pains to prove it. He moved to Australia in the late ‘70s in search of sunshine and is now sick of the sight of it. Sometimes people ask me what the most challenging thing about writing humor is. What’s funny? Everyone has a different opinion. You just have to write what you find funny and hope for the best. I test my stories out on two age groups, my wife and my Rockstar grandson. If they both laugh, that’s good enough for me. I think Australia, New Zealand and the U.K. have a similar sense of humour but wasn’t sure what the rest of the world would make of Dennis, so was delighted to get this review, from Canadian, Book blogger, Leanard Tillerman. However, when something comes along that transports us back into an age which is characterized by different priorities and needs, it is like a breath of fresh air. That is exactly what Stephen Ainley does in his novel, The Dennis Bisskit Adventures. If you love a wholesome and heartwarming story which is saturated with humor, then this novel needs to be put on your “To Be Read” list “tout suite!” The novel follows the life and escapades of the loveable, albeit very accident prone Dennis Bisskit. Born just after the Second World War ended, we are able to see young Dennis grow up in the 1950’s and 60’s and transform from an innocent and bungling boy, to a young man in his own right. In order to show this progression, the author puts together a series of Dennis’s significant life events, from the painful awkwardness of early school life to joining the Staffordshire Regiment and fighting in Uganda. In between the reader is treated to a number of hilarious adventures. From Dennis trying to set a new world record for running the mile (my personal favorite), to the tribulations at his first real job in a department store. The very humorous escapades clearly reveal a young boy’s unique and poignant journey into manhood. Did I mention that this book is thoroughly funny? The various scenarios which Dennis finds himself in are truly gut splitting. However, it is not just the actual incidents which are comical. Indeed, it is a mixture of the well laid out story scenes, perfectly described setting and solid character development by the author which makes it all work. If Dennis was not such a likable, optimistic and good natured character, the humor would fall flat as a pancake. As readers we find ourselves constantly laughing with Dennis, not actually at him. The ability to pull this off is no easy feat and the author manages it masterfully. In regards to character development, there are a number of very interesting and well developed characters in the novel. Aside from Dennis, the supporting characters such as his family, Stinky, Mrs. Ricketts and Sergeant Plunkett are developed with intricate care. They are all colorful, comical and entertaining in their own right. The reader cannot help but engage with and relate to the characters in the book. Also, they all solidly support the overall theme which is “the coming of age.” This serious theme is frequently presented in the story in a unique and comical manner. The setting for this story takes place in a different era, over 70 years ago. Life was much different then. Having recently seen the end of World War 2, it was a society focused upon simply living and rebuilding lives. Modern day technology and luxuries were not part of this world. However, that is not to say that things were unpleasant or tedious. They were just different. Many people would say it was a more wholesome time consisting of far less distraction. Stephen Ainley aptly captures such an atmosphere in his novel. It is like we virtually travel back in time to a different age and experience these adventures with Dennis. For those of us in the mature stage of our lives, such as myself, it is a very welcome trip and is fondly embraced. Overall I would recommend this book for almost any age from Teen and up. There is something in it for everyone. Nevertheless, I would also say it holds something quite special for those readers who are a bit older. If you are looking for a story which is extremely well written, then The Dennis Bisskit Adventures is a perfect choice. It is hilarious, poignant, and at times, a bit sad. The writing has a beautiful flow to it and ties everything together in an exceptional and descriptive manner. Having read Stephen Ainsley’s debut novel ‘Dennis Bisskit’ I was very much looking forward to his second novel, Dennis Bisskit and the Man from Paris with the Very Large Head.’ The amusing title, although long, gives insight into the amusing rhetoric within this book. The characters of Dennis and Stinky are so loveable; I was rooting for their success throughout the story. Without giving away any spoilers, I can say ‘The boys are back in Dudley.’ This hilarious story is a real page turner, full of amusing incidents that made me chuckle until the very end. I look forward to reading more tales of Dennis Bisskit in the future. Thank you to the authors for providing me with a free copy in exchange for an honest review. 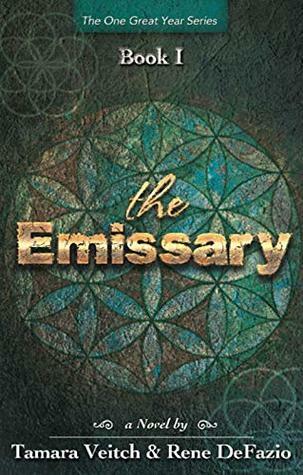 The Emissary is the first in the ‘One Great Year’ trilogy which at it’s core is a fight between good and evil. It did take be a little bit to get sucked into the story and for some reason I really struggled with the first few chapters, I’m not sure if that was just me or if the story was just sort of dragging a bit, but once the story started to get going I didn’t want to put the book down. I really loved the idea of having guardians of humanity especially with having one ‘turn to the dark side’ as it were. Having that much history between the characters also brings a whole different dynamic. There was also a lot more mythology incorporated than I was expecting and a few unexpected twists to really keep me interested. There was also a fair bit of back story which I love. As it being part of a trilogy it definitely left you with wanting more which I suppose is both a good and bad thing! Overall I am giving this a four out of five star rating, mainly for how long it took me to get into the book. Chris Donlan’s Debut Novel – Visionaries! Today I’m really excited to showcase the debut novel Visionaries by Chris Donlan! As well as having a look at the book I have a bit about Chris as well as some of the already awesome 5 Star Reviews! Visionaries is not your typical SciFi adventure, like star wars or some other kind of ‘alien shoot em up’. It blends action, history, intrigue, conspiracy and above all a hope for humanity in the present day. It has very strong female characters and will appeal to adult readers of a wide range of genres. Interested readers can also visit Chris’s website and order a signed/dedicated copy. They can also read the opening 10 chapters, get an insight into how the novel came to be created and get a glimpse into the work in progress on the sequel, called Planetary Union. A third novel currently entitled The Magdalene Years will complete the trilogy. I have to say that I really love the cover for this and it sounds like a really interesting SciFi book, with the added bonus of being the first in a trilogy! An immortal race of people called the Xethanti are plagued by an evil criminal underclass known as the PiruNostram. The civilisations of neighbouring galaxies live in fear for their lives. Janithillon can put an end to it all, but he has to overcome Nemesis, the PiruNostram’s fiercest gang leader. ​His incredible journey will eventually bring him to our world in the present day, where he will meet Magdalene, who has been living and roaming amongst humanity for 2000 years. Together they will change everything we ever knew about ourselves just so they can bring a change to the way of life on their home world. This amazing story is fraught with hidden dangers and conspiracies from each side of the universe. If you’ve ever asked yourself ‘What would an alien race make of what we have achieved here on Earth’ or ‘Are we alone in the universe’ then immerse yourself into Visionaries to discover some answers. Visionaries is part of a planned trilogy of gripping, thought provoking and ingenious novels which invite the reader to explore amazing civilisations which have influenced humanity’s development as well as reflecting on our failings and weaknesses, affording us all with hope in the face of despair. The book is written in an excellent way with perfectly balanced action keeping readers in unceasing tension. It is apparent that the writer put immense effort into preparing the background information for the book since it demonstrates the detailed knowledge of our civilisation’s history. What is more, it reflects weaknesses and strong points of people as the inhabitants of the blue planet. My take on the book is that it sends a deeper message than an ordinary interplanetary story, but I will leave it for you to decide yourselves. Fantastic work from Chris! I would definitely recommend the book to read. Just excellent!! A masterful combination of no-nonsense science and a well-paced narrative, which while keeping the reader turning the pages at a furious pace, also explores some deep historical and cultural themes. The author has managed to create and introduce the reader to a complete intergalactic society equipped with some of the very contemporary issues which we find mirrored in our own. The detailed descriptions, a story line which strays elegantly into historical and in some cases philosophical themes and the twists and turns in the plot leading to an ending that I wasn’t expecting make for a very good read. The only bad thing about this is that the sequels aren’t out yet. Get this and read it, you won’t regret it. I attended a function where Chris read a few passages from this book, and before he had finished reading I had jumped on the amazon website and purchased the kindle version of this book. As an avid sci-fi and fantasy book reader (Douglas Adams, Terry Pratchett etc.) I found it difficult to put my kindle down until I had read the complete book. Chris has obviously put a great deal of effort into making the plot seem as plausible as possible, and the way it ties in with current and past events is great. If I have one criticism it is that the story hooked me so much and then it was over. Hurry up and get those two more books published Chris, as soon as they are available for pre-order I will purchase. Absolutely brilliant, couldn’t put it down can’t wait for next book, the whole book is explained in a way everyone can understand I normally won’t read sy fi but this is quite believable. A must read. I originally hand wrote the essence of my first novel back in 1976, as you would back then when desktops, laptops or notepads weren’t even invented and frankly that’s as far as I got with it at the time. It was going to be another 40 years before I finally got around to scratching back through my memory of the story and began to type it using Word on my laptop. The first 10 chapters emerged quite quickly, but it was sometime before the other 18 were formulated to the standard I was striving for. With the hindsight of life’s experiences and the amazing research capacity with the Internet, I was able to hone and polish the raw story into something much more appealing and readable – well I hope I have anyway! It took me around 2 years to completely finish the novel and finally bring it to fruition as the published article you can see today; which is not surprising when you consider that I was and still am, holding down a full-time job as a consultant for a software house. I’m very grateful to my partner, Jane as a much needed and helpful adviser and critic and to several friends who read the inaugural drafts and provided me with useful feedback which enabled me to refine and craft the story as I went along. One of the most inspiring things for me to have come out of the process of writing Visionaries was the realisation that I could develop the story into a trilogy, by inventing a prequel as a means of exploring more about one of the key characters, as well as developing a sequel so that the readers can get a chance to see what happens next. If SciFi is your thing definitely have a look and check it out!